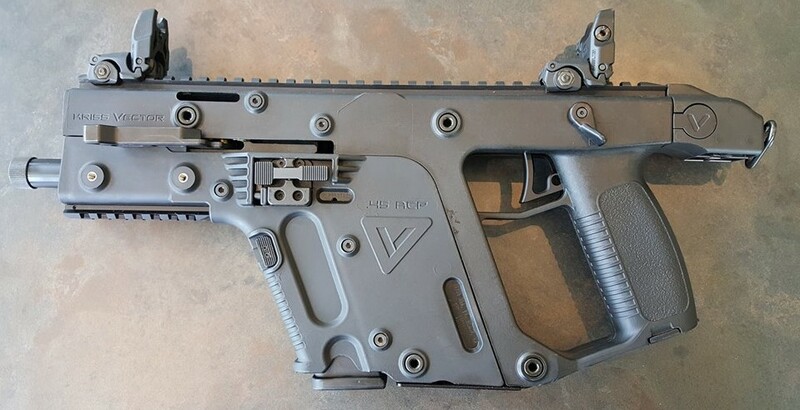 One of the more strange arms out there on the market is the Vector series of firearms by an outfit called Kriss USA. The claim to fame is the unique action which does not reciprocate laterally like normal. 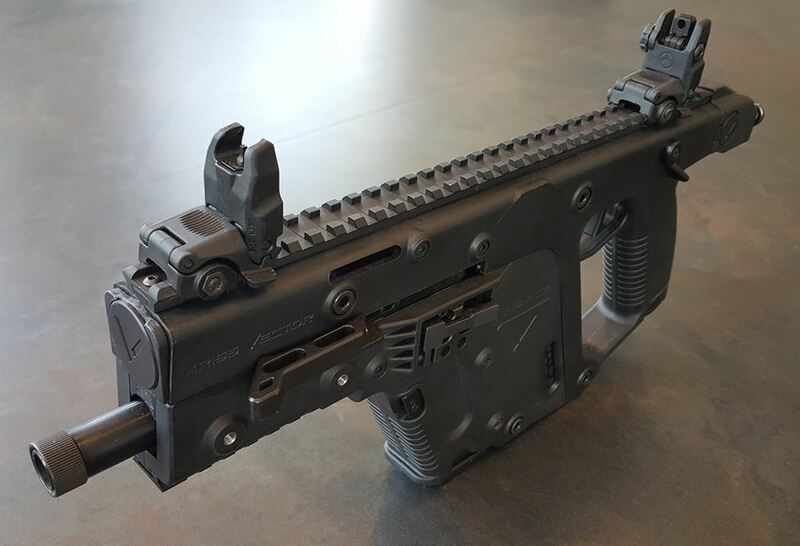 No, the Vector does things different. The bolt cycles down at a curving angle with the idea that it reduces the felt recoil. 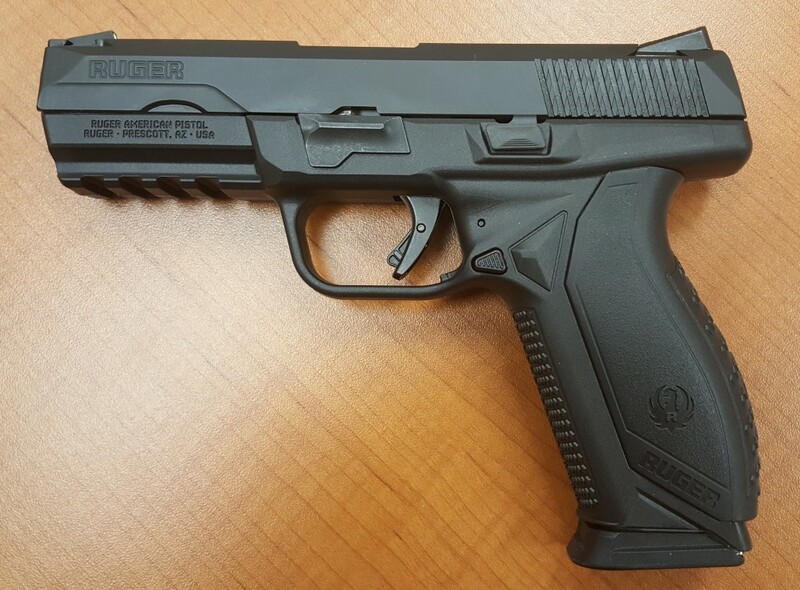 Originally available in .45 Auto and now with the option of 9mm. As odd as it is, I have to admit, it does seem to work. Shooting the .45 auto version is a riot. The recoil is light. And the gun is rather accurate. You can get the Vector as a Pistol, as shown. Or as a Carbine with a 16″ Barrel and a stock. Then if you like, there is the SBR versions you can also get if you have the jingle. 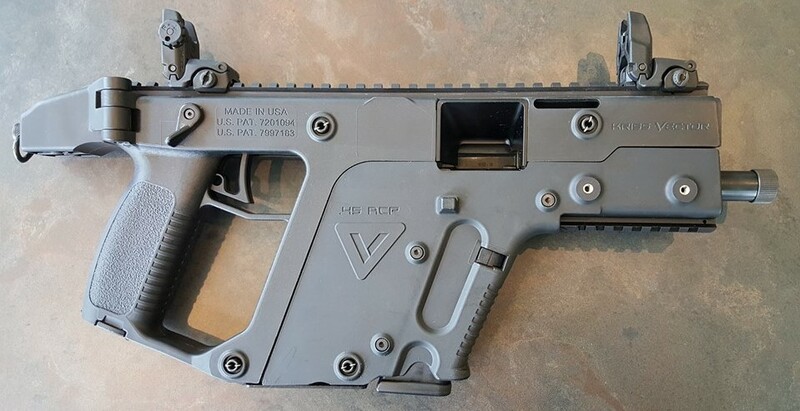 The Vector has a distinctive look to it. 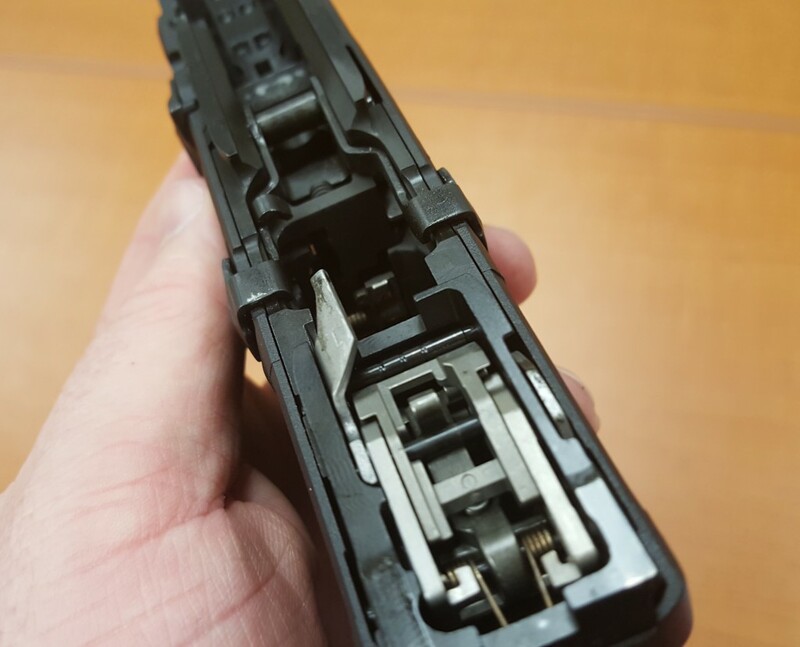 What I like best about it, is that it uses common Glock magazines. 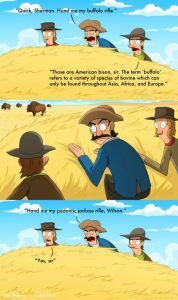 I love that fact. What I don’t like about it though… Is the company Kriss USA themselves. See, let me explain why. When I was the Retail Manager for Blackstone Shooting Sports, I had a few of these Vectors in inventory. One of them was Folding Stock version, and the other was a Fixed Stock version. The problem lies in the fact that they look very very similar. 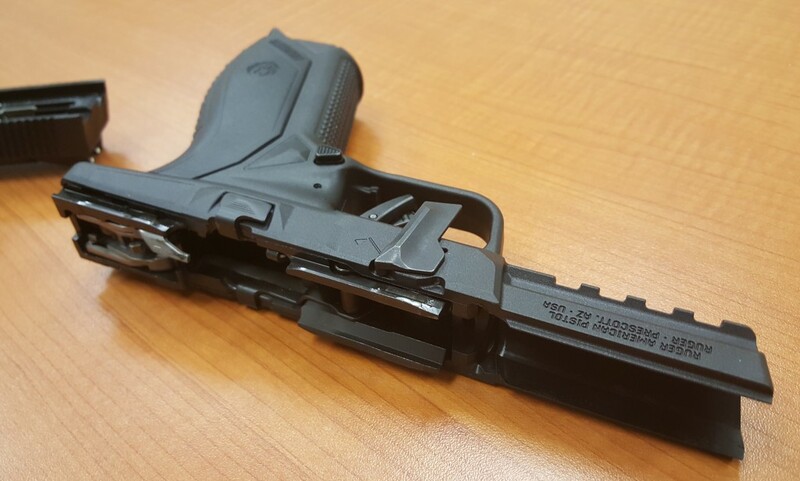 So when a Customer picked up the Fixed stock version and tried to fold it. Oh, it folded. But it wouldn’t lock in the unfolded position again. Because the stock was now broken. Kriss offered no help in fixing this problem and I had to pay $80 for the part to fix it. This was highly irritating to me. See, I watched the customer do this. He didn’t put any effort into folding it. The busted part just snapped like over-crisp bacon. This shouldn’t have happened. The part was faulty to begin with. I like the fact that you can put whatever sights and optics on top. And the fact that the gun seems to function with just about everything that says “.45Auto” on the ammo box. 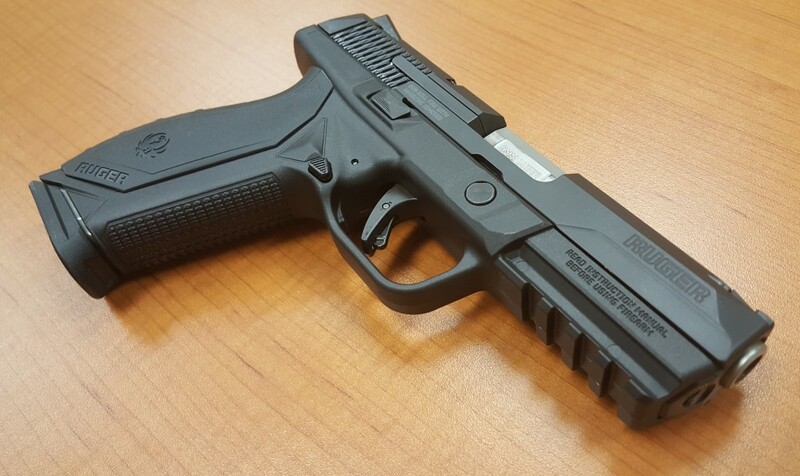 And with a gun like this, coming with a threaded barrel is nice too. 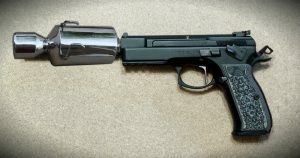 You can go with a Suppressor or other Muzzle Device as you see fit. From the above photo, you can see that the ejection port is big enough you can eject soda cans out of it. That’s a plus for reliability. The downside to it is that the Vector is one overly complicated piece of hardware. Inside the external housing, everything ties into a thin sub-frame that seems a bit too delicate, and there are far too many little pins that connect everything. The bolt mechanism is also complicated. Very complicated. And it doesn’t benefit from normal bolt momentum as the action is designed to reduce that inertial energy. The other downside is the price. The above pistol was about $1500 USD. Now they come with Arm Braces, which is an improvement but raises the price by at least 100 bucks. So being Overly Priced and Overly Complicated… I’m not a fan of the Vector. Honestly, I’d rather buy a Ruger Police Carbine, and save that $1000 price difference on ammo, optics, magazines, or a suppressor for that. For YEARS I’ve advocated the Remington 870 as the Defensive Shotgun of Choice. I’ve always loved the 870, and I still do. When you take a Mossberg and add the Magpul stock to it… Something magical happens. You have something greater than the sum of it’s parts. To explain this… let me explain the pros and cons. The Mossy has the superior shell lifter for tactical reloading and more efficient and safer unloading. The Mossy also has that tang mounted safety that allows for efficient left or right hand shooting. 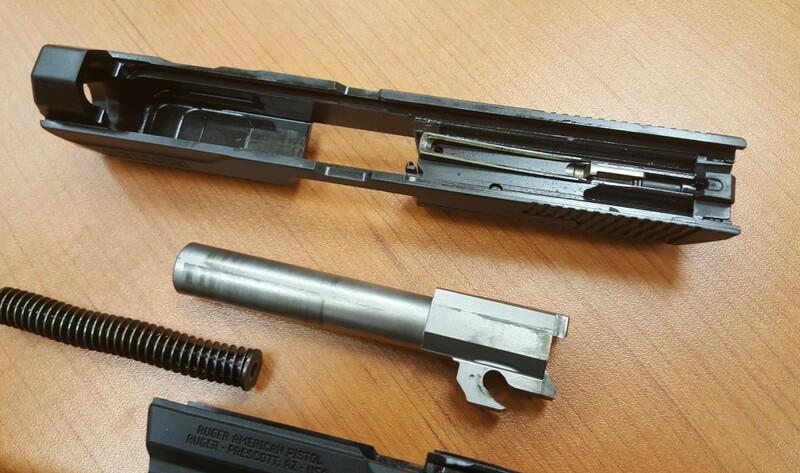 The Remington system is certainly right hand biased, and shelf lifter makes tactical reloading a bit more tricky as you are fighting against the lifter’s spring while trying to shove in a fresh shell. And you have to finesse the gun and roll it to get it unloaded and cleared. It’s less than ideal. 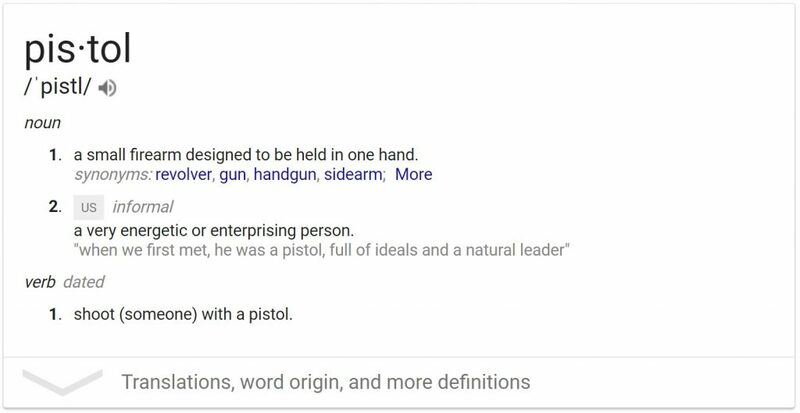 Where the 870 wins is it’s steel construction verses aluminum, and the fact that you can easier run a pistol grip… if you are Right Handed, and you don’t have prehensile thumbs. But really, we make space ships, fighter jets, baseball bats, and armored fighting vehicles out of aluminum… so I don’t think the Steel of the 870 is really that big of an advantage anymore. It does make the gun a bit heavier, and that’s not too bad in a shotgun… but… now this is more personal taste than any actual advantage. Now enter in the Magpul stock to the equation. 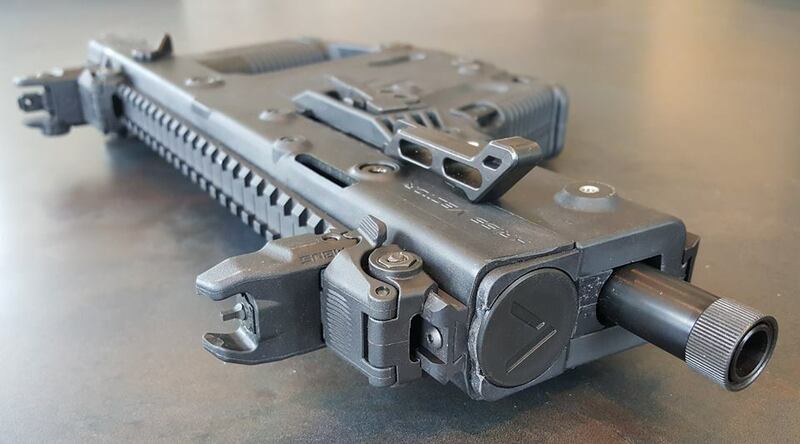 The stock has these spacers that you can put in, or pull out, that let’s you set the length of pull to be just right for you and how you want your gun set up. It also allows a perfect positioning of your shooting hand’s thumb to work the safety as needed – Left or Right handed. 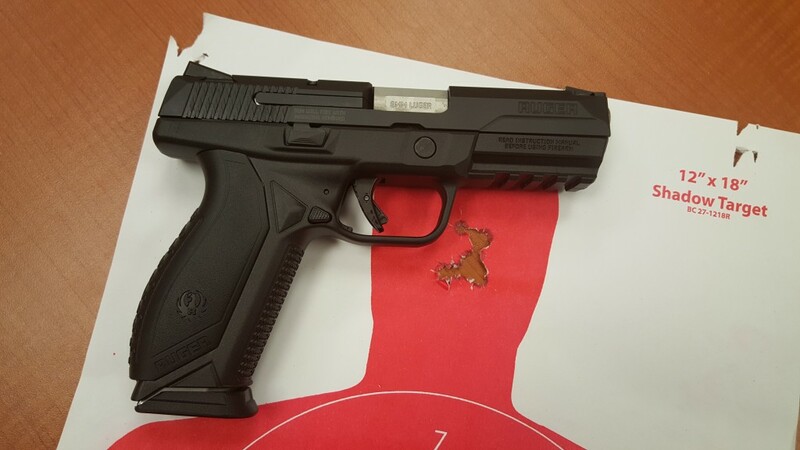 The stock’s shape also manages the Gauge’s Recoil very well… making it handle very well while firing. It might be different in the way it feels when holding the gun and walking around… but when you shoulder it and raise that gun up onto target – it all comes together. This is the way a shotgun should be. So… Yes… I am a Mossberg fan. Specifically, the 590 series. A 590 with a Magpul Stock is my Shotgun of Choice now. What I look for when looking at an AR type firearm. I’m the guy that wrote the “Why I Hate the AR” article a couple decades ago. But I’ve come around to them now… after 50 years of continual development, AR’s are pretty much all decent enough now. They all work pretty well. But… I’m really picky when it comes to AR’s now. I’ll dismiss most AR’s in any gunshop. Being jaded as I am… having seen everything on the market with little that actually impresses me… People ask me all the time what I look for. What I look for in an AR first and foremost is Accuracy. It’s all about that Barrel. I want it Cold Hammer Forged. If it’s not – I’m just not going to spend my money on it. Period. So I am going to look for those markings on the barrel to ID where it came from, so I can know how it’s made. CHF barrels are no guarantee of it being super accurate – just consistent. And that’s where accuracy starts. With traditionally made barrels – some can be very accurate. Others, less so. You don’t know what you are getting until after you bought it. CHF Barrels, takes away that variation. I’m also going to look for a free-floating barrel. 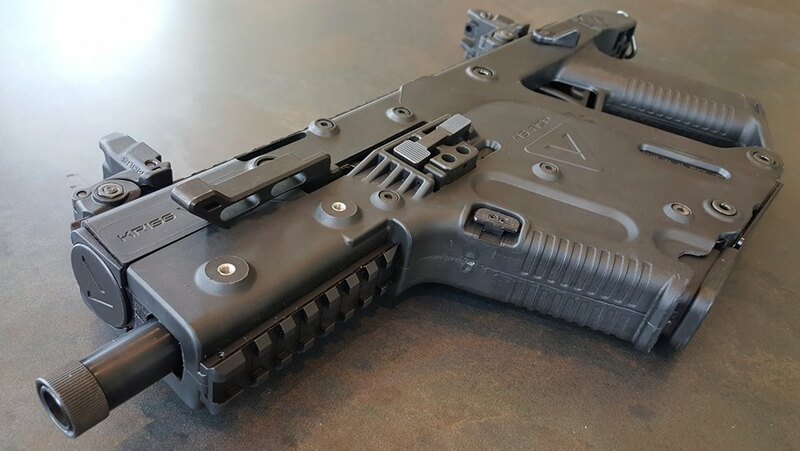 Traditional A1 and A2 and other similar handguards that are connected at the front, are things I am going to always avoid. 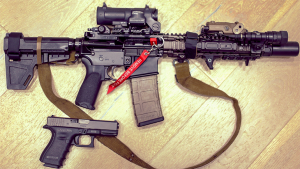 You can have an accurate rifle with those… But simply gripping them differently will apply different pressures to the barrel and effect the Harmonics. Variations in Barrel Harmonics will effect accuracy. You know how some rifles prefer loads of different bullet weights and velocities? Reloaders will play with powder loads to find that perfect load for max accuracy – what they are really playing with is Harmonics. Allow me to explain. When a shot is fired from the barrel, that barrel starts to move. A lot more than you would think. An accurate rifle has a very consistent movement and the bullet exits the muzzle the same place in the barrel’s movement every time. Things that change the way the barrel moves effects this – and thus effects accuracy most often in a negative way. I want the Upper and Lower receivers to be tight. With as little movement as possible. In some builds, designed for close quarters, or in AR Pistols, this isn’t so big of a deal. A little movement isn’t going to effect anything. But for a rifle configuration for longer range work – I want this to be a bank vault fit. Or if this is a build that is supposedly a super high quality build… or anything north of 900 dollars… I want this to be a bank vault fit. The other thing I look for in an AR is a good trigger pull. I don’t care about the weight in most AR triggers. But I want that break to be crisp and clean. I want it to break like a hard thought. These are the main things I look for in an AR. Everything else can be altered and changed out easily. So they don’t matter so much. But what I described – that’s the foundation to build your Configuration on. 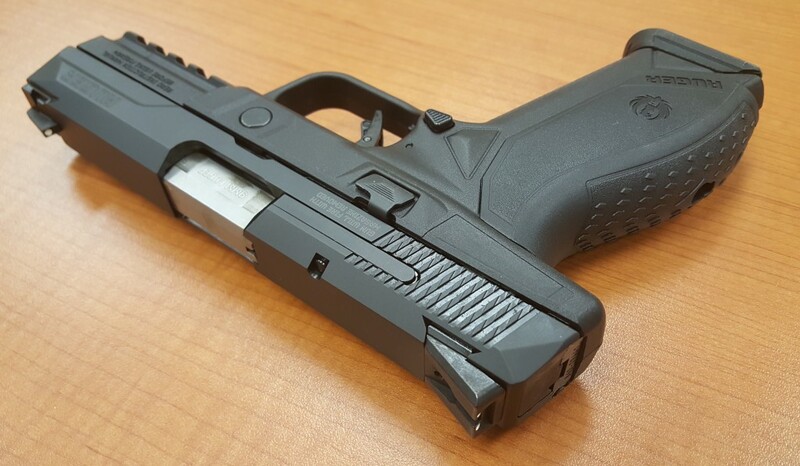 One thing I’ve come to expect from Walther – Excellent Triggers. 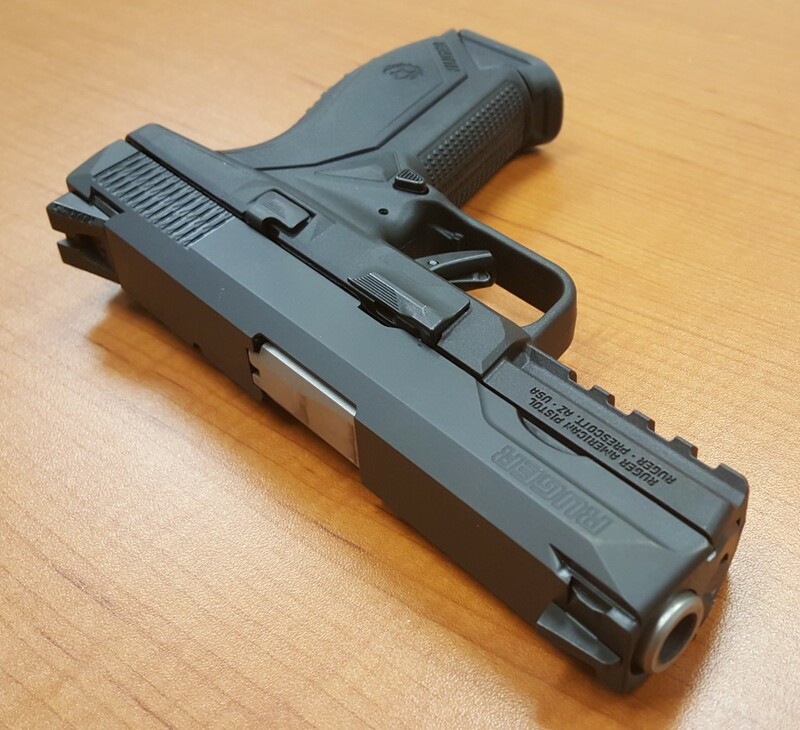 The PPQ, P99, PPX, and the original PPS all have triggers that go from Excellent to Fantastic. 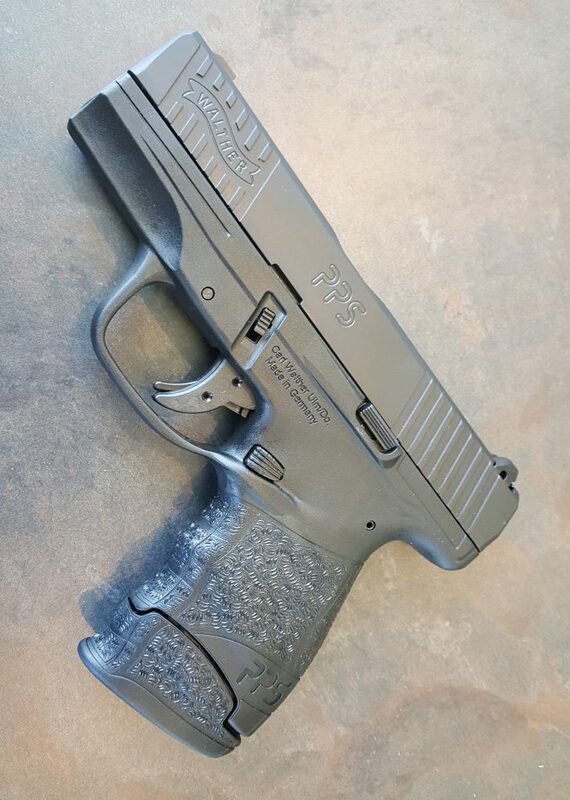 The PPQ is well known for being The Best out of the box trigger of any Striker – even better than the VP9. Now the this gun here… the PPS M2… I was really looking forward to getting my hands on one. Because I am one of those weird guys that actually liked the original PPS. 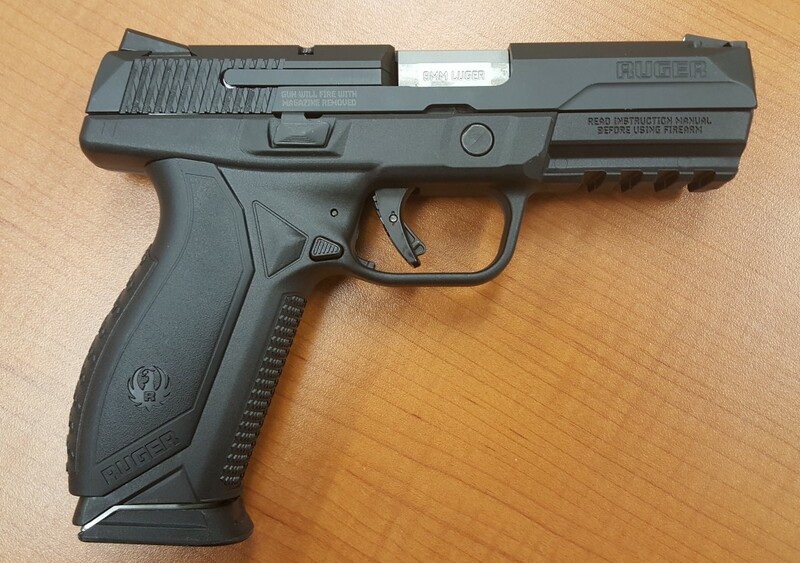 So I was hoping that this would be the same gun as the original, but with some ergonomic enhancements. This is not the case. This is a completely different gun. The new PPS looks great. 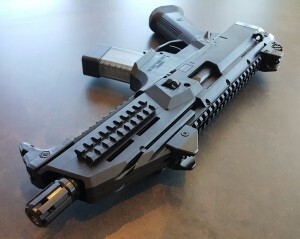 This is a good looking gun. 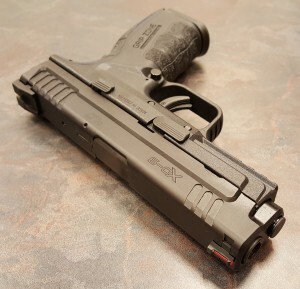 And for a Sub-Compact Single Stack – it even feels good. 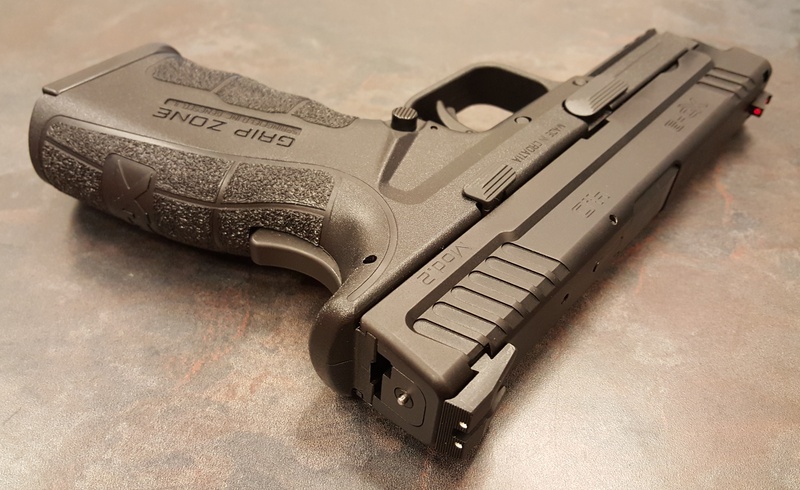 If you like a Shield, you’ll probably love the PPS M2. And then I tried the trigger. Having a chance to play with a number of these new SMG type pistols… I keep coming back to the Scorpion. It’s a simple firearm. 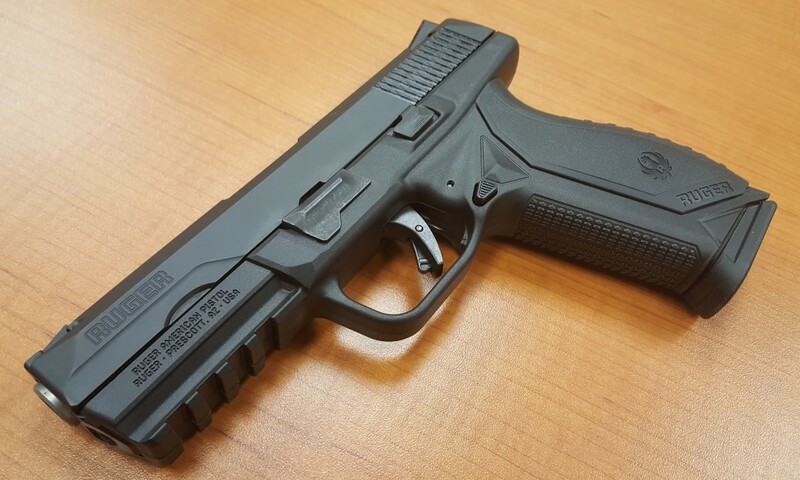 A good looking firearm. And one that feels good and runs better. It’s not perfect… but it’s close. There are some things I’d change about it. Such as that grip. And I’d make the rail sections removable on the sides. But really those are just Nit-Pick items. The gun is solid. The gun is good to go. 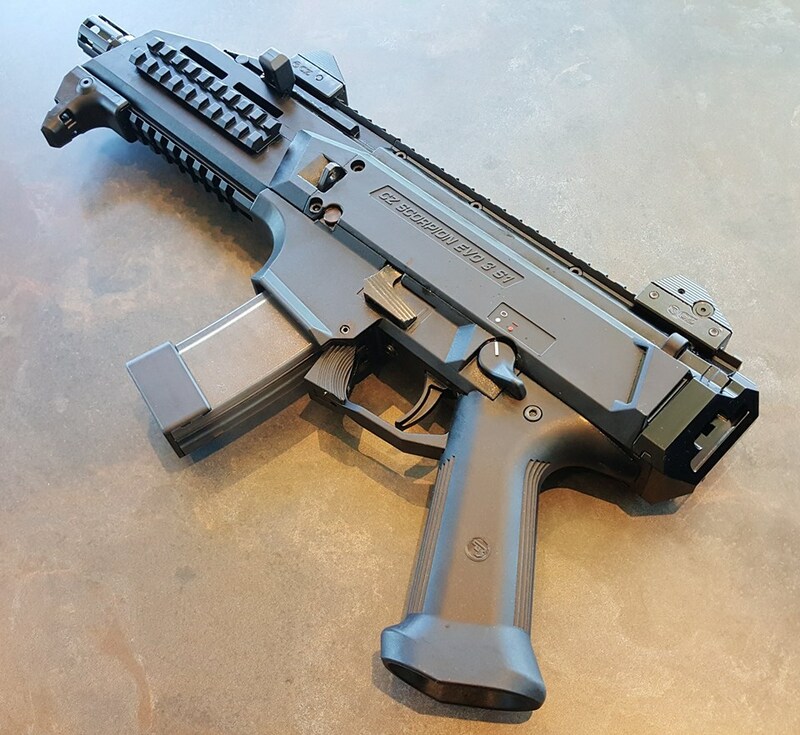 It begs to be SBR’d and if you want an EVO, just factor in that 200 dollar tax stamp. Because you are going to want it. It’s just cool looking. It looks like a modern SMG, and not a 1950’s hold over. It looks like something that would make the head honchos at HK slam fists into tables. I need one of these. 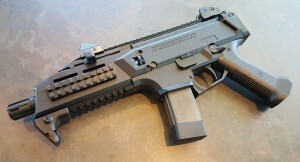 The next gun I’m going to get is probably going to be a KSG… But after the KSG, it’s going to be an EVO 3. 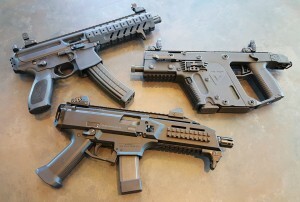 The ergos on the CZ are not as nice as the SIG MPX, but are very good for an SMG if you are used to SMG’s. The HK Slap works well here, and is a welcome feature. As is the mag release. I know a lot of guys are digging the Kriss or the SIG… and both are great. Both have strong reasons to consider them. The SIG because of the familiarity. If you can run an AR – you can run an MPX. 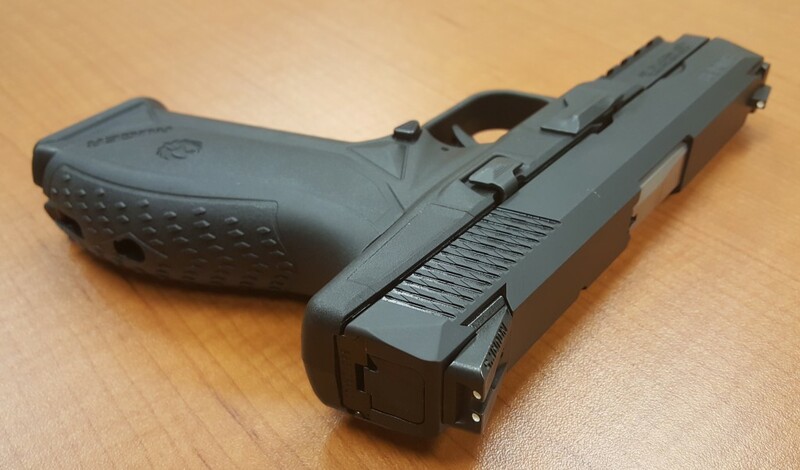 The Kriss, as weird as it is – and it is really weird – is running common Glock 21 magazines. That’s an advantage. But the CZ, for me, just nails it… Hitting all the points I want in this type of firearm. And it’s the least expensive of the three. 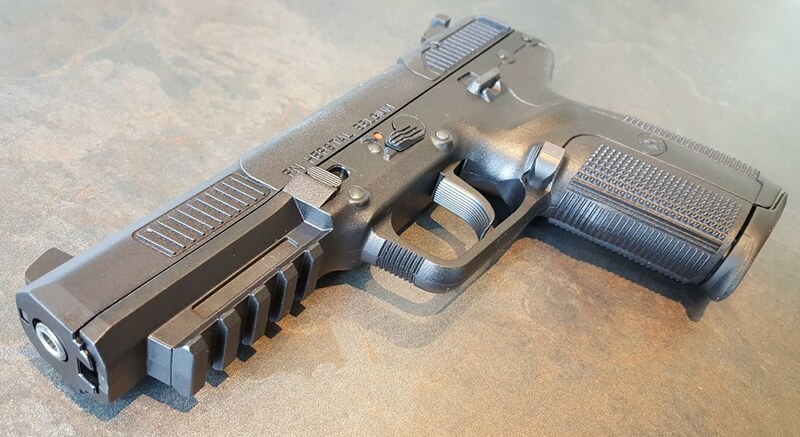 The XD MOD.2 Service. A new XD I could actually own. This is the best rework of the XD series Springfield has. 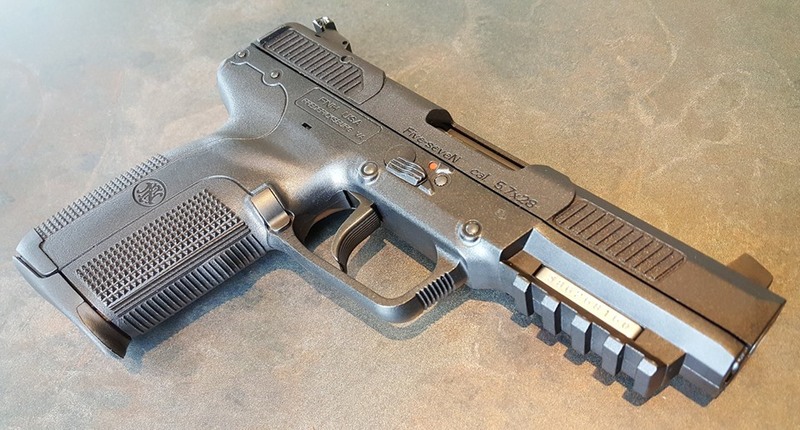 I like this better than the XDM. The new MOD.2 is shaped right. It fills the hand without being too large and is just grippy enough to be be grippy without being abrasive. 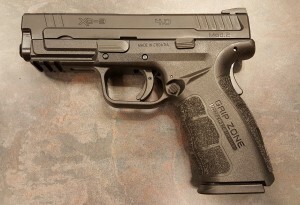 The regular XD’s and XDM’s feel slick in my hands… .and for that reason I just don’t take to them. 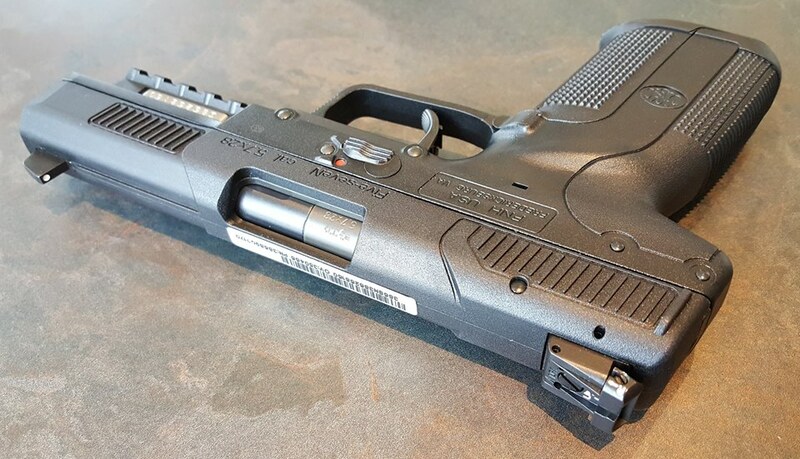 Had this been the design back before I got my Glock 23 – I think I could have been very likely to have selected one of these. Now look at the Slide and Frame contours… You know what? The XD isn’t ugly anymore. It’s grown into quite the handsome figure. 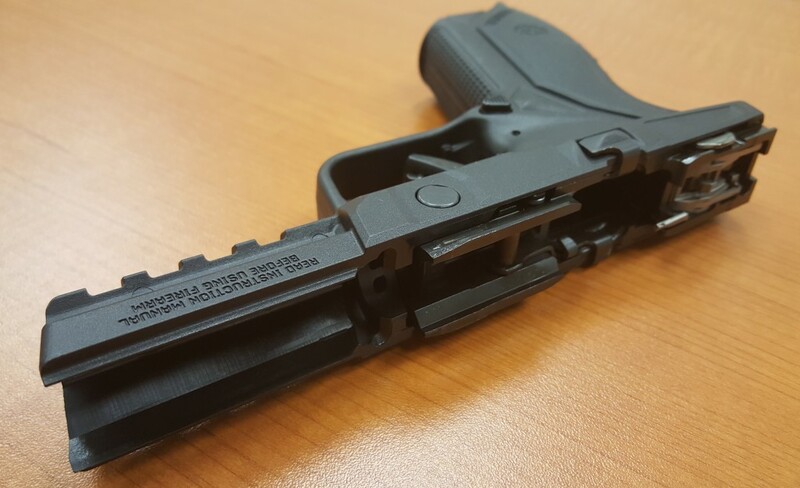 I like the slide serrations. They did a great job. “GRIP ZONE”? Seriously? Where’s the “SLIDE ZONE” markings? Captain Obvious needs to stay out of the Design Room at Springfield and maybe take a holiday to eastern Syria. GRIP ZONE… Who approved that? Who did that? Who is responsible for GRIP ZONE? If you know who that guy is… Mark his face with a Sharpie “SLAP ZONE”. Please. Other than that… Home Run, Springfield. Home Run! 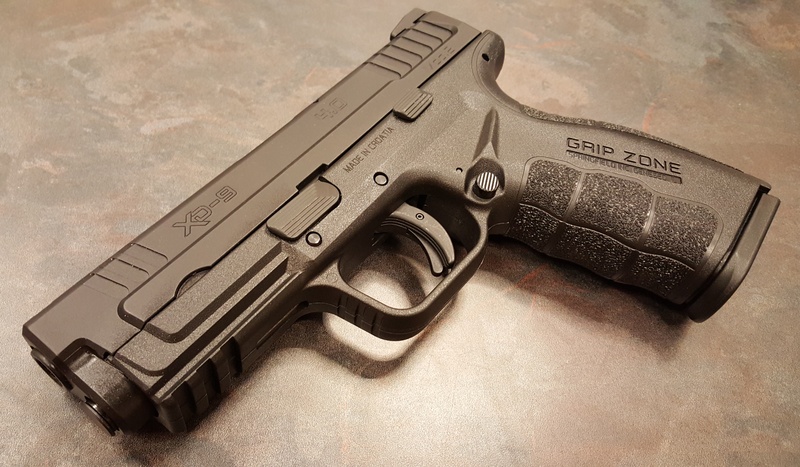 I’ll be waiting for and 3.8 Compact Mod.2 in the XDM series… But this is tempting. as it is. Very well done, Springfield… Bravo!